Photo by George Pimintel. Used with permission. 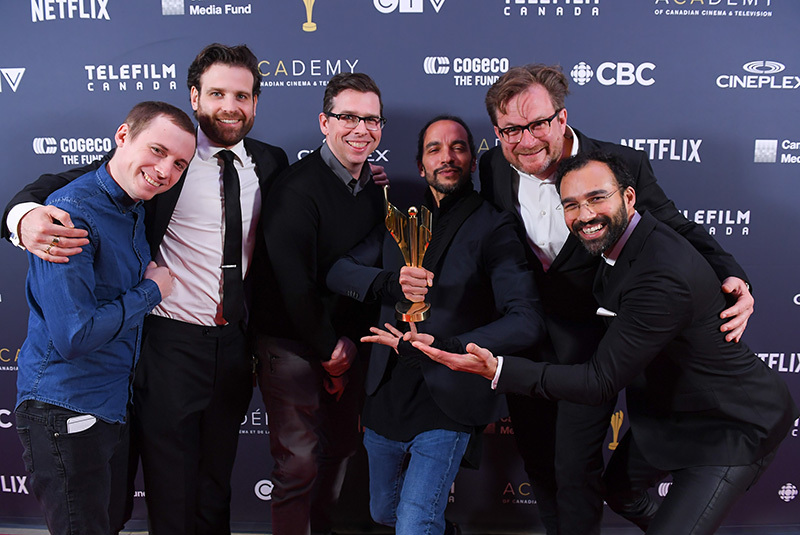 (March 29, 2019- Toronto, ON) It was Digital Night last night at the Canadian Screen Awards. The venue shifted from the Heritage Hall at Exhibition Place to, by comparison, a much more intimate venue at the Globe and Mail Centre. Titled The Gala Honouring Digital Storytelling, 13 Canadian Screen Awards were presented along with a presentation of many innovative digital technologies Canadians are using to expand the storytelling experience.